Michael Batty’s practice has primarily been an exploration of abstraction’s legacy. It could be argued his work has content but not subject. Or rather, the subject is painting, with the content being the meaning or experience a viewer receives from the work. 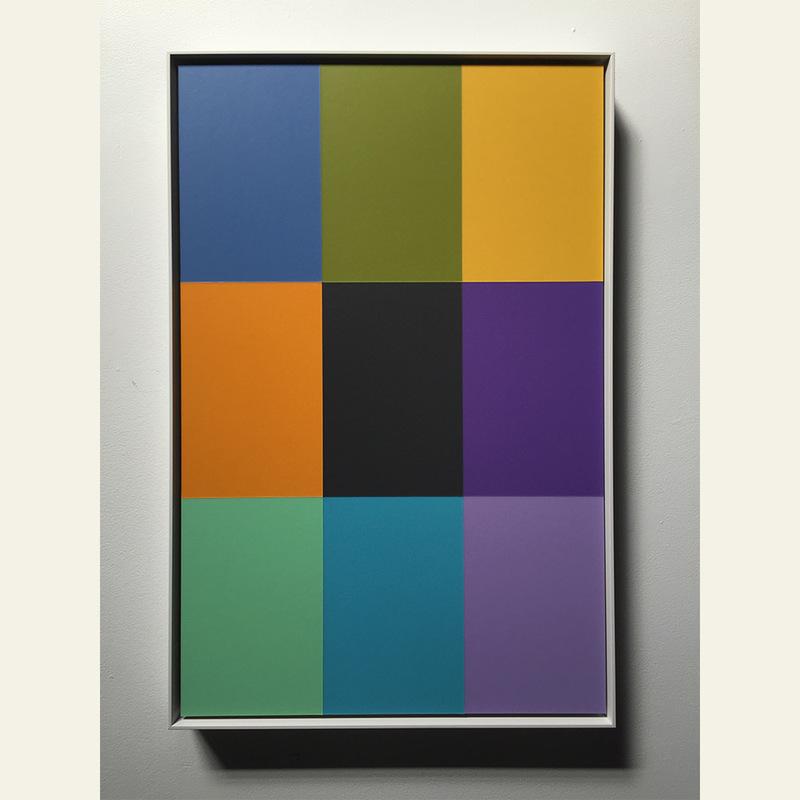 This exhibition marks his new approach to the painting subject, utilizing gridded arrangements of blocks of colour to create an emotional response in his audience linked to ideas of equivalencies within art, music and language. Also on exhibit are two new large multi-panel paintings that express visually concepts related to music – frequency, fade, gain, loop – relying on their sequential nature to reflect the time-based properties of sound.